For clients with complex estate and transfer tax planning needs, now might be a good time to establish a charitable trust before rates rise. For clients with complex estate and transfer tax planning needs, now might be a good time to think about establishing a charitable trust. The current (and likely future) low interest rate environment is particularly favorable to charitable lead trusts, according to Kathryn Garrison, a senior financial advisor with Moss Adams Wealth Advisors. 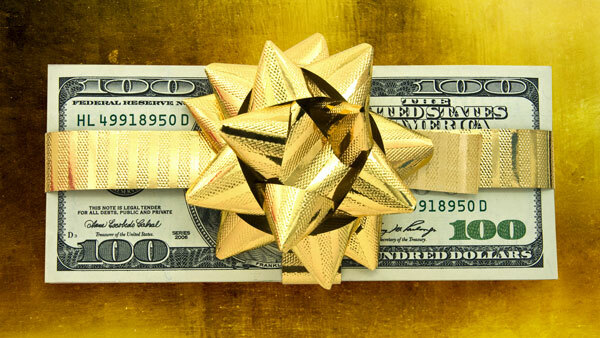 “A favorable tax environment is not a reason to do a gift, but if you’re thinking about doing one, it can make a lot of sense,” she told ThinkAdvisor on Tuesday. Charitable trusts are ideal for high-net-worth clients with large estates who are trying to reduce their estate tax liability, Garrison said. Charitable lead trusts allow donors to make a gift of property or some other kind of asset into that trust, and the income generated by those assets are distributed to charity, Garrison said. In a grantor reversionary trust, any remaining assets go back to the donor, while non-reversionary trusts pass remaining assets on to any heirs. Non-reversionary non-grantor trusts — where the donor completely forfeits the assets in the trust and nothing is passed on to heirs — are the most common type of lead trusts, Garrison said. For example, she said, say a client has a $2 million apartment building that they expect will appreciate significantly over the next 20 years, as well as produce income. The client can put the apartment building in a charitable lead trust so that the income it produces each year goes to charity, and at the end of that 20-year term, the building goes to the donor’s heirs. In that situation, the client still has to pay taxes on the income in the trust because they got that charitable deduction up front, Garrison said. She suggested using municipal bonds to mitigate the tax bite. “You put tax-exempt bonds in there to produce income that’s not taxable [and] all that income goes to charity, then the bonds themselves or the cash goes back to the donor,” she said. Another stroke in favor of a lead trust over a remainder trust is that remainder trusts benefit from higher interest rates, but Garrison stressed that the benefit of a favorable interest rate environment is a nice side effect, not a factor in the decision. “It’s nice that it’s great for a lead trust and it’s unfortunate that it’s not as great for a remainder trust, but I think these income needs and the transfer and legacy needs really should be what drive the decision on what kind of gift to make,” she said. Still, a charitable remainder trust is a good tool for donors who are worried about giving up income-producing assets, even though they have sufficient retirement funds. Another use for charitable remainder trust is when a client has a highly appreciated asset like stocks with a really low basis. “They need to sell to diversify, but there’s huge capital gains involved, so you could put that stock into a charitable remainder trust,” Garrison said. The donor doesn’t avoid the taxes entirely, she said, “but you’re deferring them out” over the trust term. So what about donor-advised funds? Garrison said DAFs have been growing in popularity, especially as Fidelity’s and Schwab’s funds take off. They’re not as expensive or complicated as setting up a private foundation, she said. and 3 Estate Planning Strategies for a Low-Rate Environment on ThinkAdvisor.